2008: we lost in the second round to Colchester. 2007: we reached the regional finals, losing to Norwich. 2006: we reached the second round, losing to Norwich. 2005: we reached the regional finals, losing to Newport. 2004: we reached the regional finals, losing to Colchester. 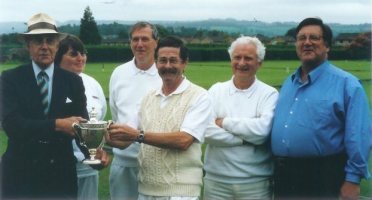 2003: we reached the national finals, where we were runners up to Nottingham. 2002: we reached the third round, losing to St. Albans. 2001: we were the national champions.